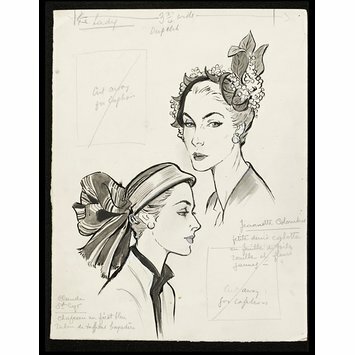 Fashion drawing of two hats, with pencil and layout notes. 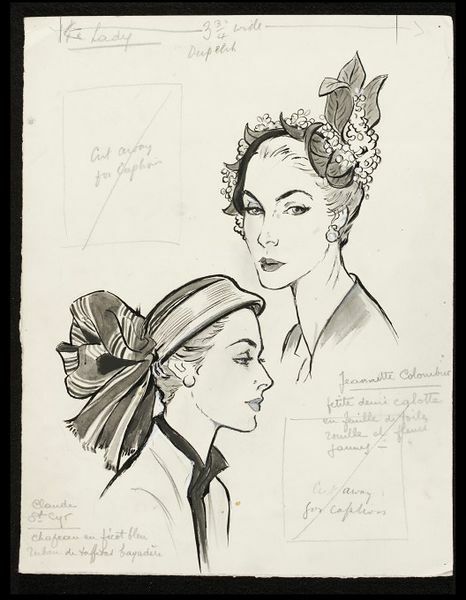 The top hat is by Janette Colombier, and fits closely to the head, trimmed with leaves and flowerets. 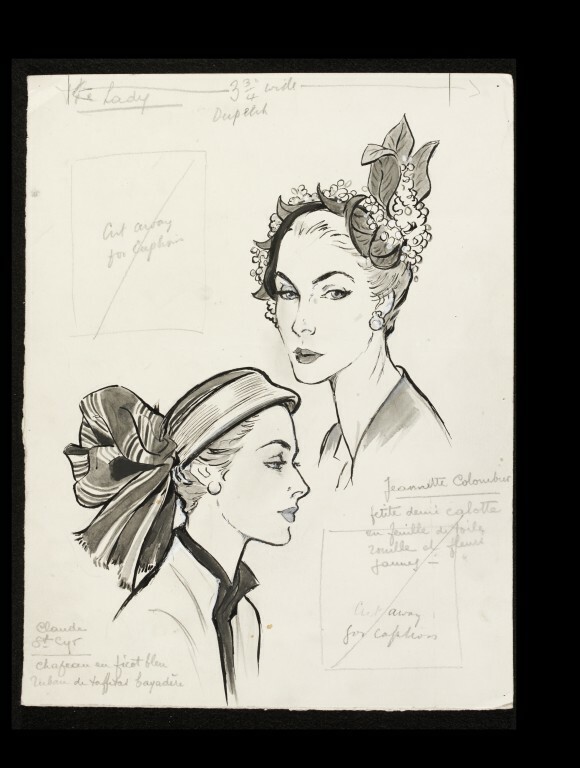 The bottom hat is a small-brimmed straw hat by Claude St Cyr, trimmed with a very large striped silk bow at the back.